As a mom of five young kids, I find it hard to leave the house and venture out. Home is easy and safe, right? When I leave my comfort zone there are so many unexpected scenarios that could take place. My toddler could decide to let go of my hand and run out into the street. The baby I have been carrying on my hip can decide to play the “dead weight” game, drop her legs and suddenly wiggle out of my arms, and now I am barely hanging on under her armpits while chasing the toddler. At the same time, there are the other three kids who are begging for my attention to look how the crazy lady at Walmart is dressed while “dead weight” baby is about to fall and toddler is about to get run over. Yeah, I like to stay home. But, in hopes to be a better mom and go out and about more with my kidlets and be a “fun” mom, I decided to make an investment in my sanity and my kid’s happy fun time. I bought a side-by-side double stroller! It is amazing. It makes getting out of the house way more enjoyable for everyone. I can strap the crazy toddler and the wiggly baby in a stroller and push them along anywhere we go, and I can pay attention to the other kids. I always try to look away and avoid the crazy people dressed at Walmart; sorry kids mama don’t want to see that. I use my side-by-side ALL the time. I love it when we travel. It’s nice to have in an airport or at Disneyland. I use it in the mall, at museums, local fairs, parks, walking trails, really anywhere that I go where I feel I need both of my youngest strapped in for either their safety or my sanity. 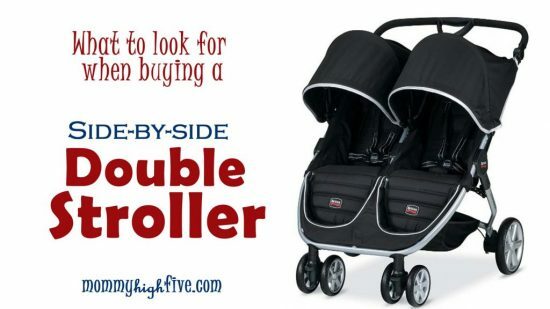 Some double strollers can be pretty pricey and to be honest, I went through quite a few cheap double strollers before I decided to just fork out the money for something that was a little more than what I had paid before. Cheaper strollers I had bought before never lasted long with my older kids. I got what I paid for: a cheap quality product that I was not happy with. I’m so glad I finally made the choice to get a good quality stroller. I have had it now for a few years, and I only wish I had bought it earlier when my older kids were younger. I have seen it as a great investment. 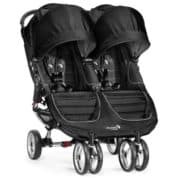 If you are in the market for a double stroller that will knock your socks off, here are my top picks that will make you scream and shout with joy! Lightweight Design at 23 lbs. This is the stroller that I purchased. I chose the side-by-side over the tandem models because I feel like it maneuvers easier, both kids can see the view, and it fits through doorways great! The City Mini has padded straps for each seat, which is great for smaller kids and babies. This came in extra handy when I was ready to leave the house again after having a baby. Both seats recline and the straps adjust, so I felt perfectly comfortable putting a little baby in the reclined seat, buckling them in with the padded straps, and then venturing out on the town. Each seat has its own individual sunshade that extends down very far to provide maximum coverage and there are two little windows you can open up and peek through to make sure your little one is doin’ alright. When you recline the seat, there is a mesh backing to provide airflow for a sleeping little one, or if it is windy or chilly there is a cover that rolls down and snaps on. On the back of each seat there is a mesh pocket to store items, and then there is a large basket underneath the entire stroller for even more storage. There is quite a bit of storage on this puppy. The handle bar is nice and sturdy and comfortable to hold onto. The wheels are very sturdy and durable. You can have the wheels swivel or you can lock them into place. 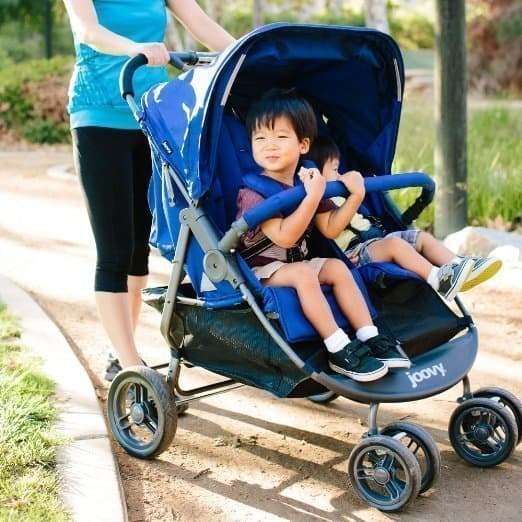 The stroller is actually very lightweight and is super easy to fold up. There are two little handlebars in the seats; you just grab and pull and voila! It fits nicely in my minivan, and I take it everywhere. This bad boy can hold up to 100 lbs. When we travel and have been walking a lot, all my kids have been known to take a turn getting a ride at some point or another. Right now on our current adventures, my four-year-old, who weighs about 45 lbs (yeah he’s a linebacker), and my 18-month-old, who weighs 25 lbs, are the stroller’s current residents. We just took a trip to Disneyland, and with those two and all our gear, lunch, and sippy cups attached to the stroller, it was still so easy and flawless to push around!! There are a couple of small things I’d change about the City Mini had I designed it myself. The basket on the bottom of the stroller is somewhat hard to get into. It has not really been a huge problem for us because we really only use it when we travel and carry a lot of stuff with us. 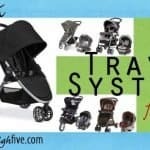 But just know that when trying to pack coats or bags in the bottom of the stroller, it can be a little frustrating. Also, there is nowhere to hold a water bottle or keys or phone. That is a problem. Luckily, I found something similar to this little gem that fits great and carries all my needs! As an alternative for those heavy walking days, we like to use a good and lightweight umbrella stroller. 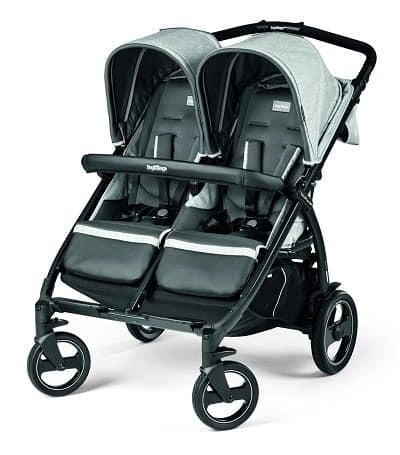 This stroller is very similar to the City Mini double in many ways. You may be thinking that they are the same stroller with just a different name slapped on them. Well, close. There are a couple key things to look at when comparing these designs. The Britax handle bar is adjustable. If you happen to be shorter that may be a nice feature for you. 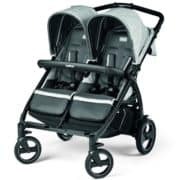 The Britax also has a specific name brand stroller organizer you can separately purchase to keep your water bottles, keys, and phones. The basket underneath the seats is easier to access and put large bulky items in on the Britax. 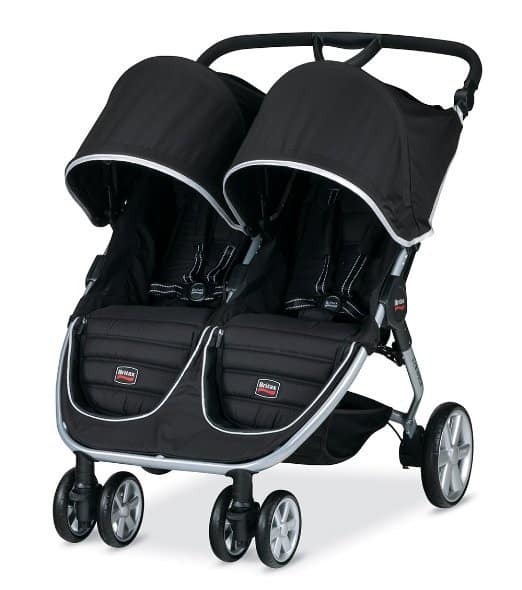 If you happen to own a Britax infant car seat, it will automatically snap into this double stroller. This may be a nice feature for some, but it can be kinda tricky and not as easy to use as it sounds. The buckle on the Britax has been known to stick and be difficult to buckle and unbuckle. Other than these little things, the other features are the same as the City Mini. 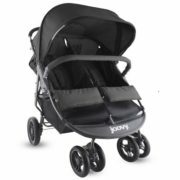 It is easy to maneuver and fits through standard doorways, the seats recline, front wheels lock, and it has large shade canopies. This would be a great purchase. This is another double stroller that looks similar in style but has some big differences that need some attention. A nice feature of this double stroller is all the great cup holders and even a parent tray. You could carry a drink for everyone or throw your key and phone in one of the holders and you are set to head out on an adventure without having to buy anything extra. Another nice upside to this stroller is the price. If you are not wanting to spend a ton of money but still wanting all the space a side-by-side has to offer, this may be a good option for you. 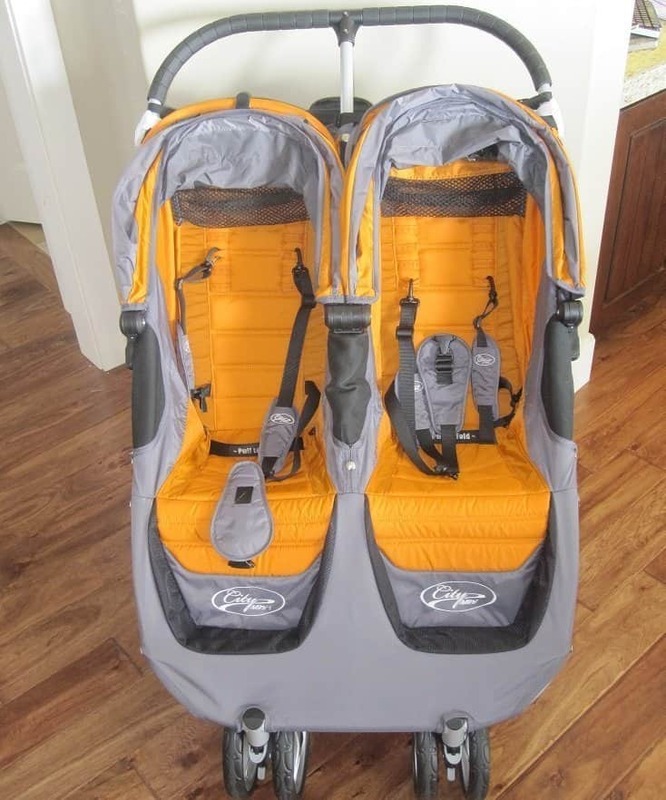 It can even carry 2 diaper bags and is also super duper lightweight. That being said, there are a couple downsides to consider when looking at the Kohlcraft. 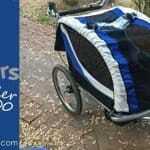 The fabric is not as durable as some of the more expensive name brand strollers. Even though it is an umbrella or lightweight stroller style, it does not fold up like an umbrella stroller so takes up a little more space then you would think. It can also be a little difficult to assemble. This stroller comes in so many fun colors. 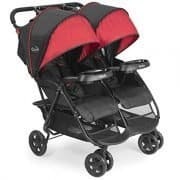 What sets this apart from the other strollers is that it has just one large sunshade, individual adjustable foot rests, ginormous storage basket, and a bumper bar. It really has a lot going for it. Each seat fully reclines and you can also extend the foot rests for the napping kids. It claims to have the largest underneath storage basket on the market, which I would not complain about. It also comes with parent cup holders and a zipper pocket for phones and keys, which is nice. The bumper bar can be removed since I see no real purpose for it. The wheels are larger than normal, which makes for a smoother ride, and it can be folded up with one hand. This stroller does feel quite bulky, and there have been a lot of problems with the front wheels locking whenever they feel like it. If you are taller, like my husband and I are, this stroller is a little awkward to push around. It’s better suited to someone who is shorter because the handle bar does not adjust. The fabrics are bright and fun, but somewhat cheap, and the price is nice. This is the Cadillac Escalade of strollers. By that, I mean that it is the top of the line, name brand, pricey, luxury stroller. 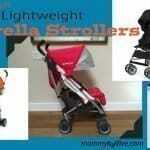 This is a high quality, durable stroller that will last. 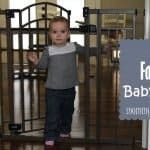 This stroller has rubber wheels, which sets it apart from all the other strollers mentioned in the article. It folds up nice and tight, like a book, hence the name. It is extremely easy to stroll even on grass, rocky terrain, and uneven pavement. The fabric is extremely durable and high quality and wipes down easily. It has a large storage basket, and the seats recline independently. This would be a great choice if you are looking for a high-quality name brand that’s durable. Thanks for sticking with me. I hope you were able to find something here you liked. Whatever you decide to go with, I hope that I got my point across that if you can, just spend the money and invest in the right side-by-side for you! I have had mine for years, and I’m so glad I made that leap. I only wish I would have done so sooner. If these options don’t work for you, that’s okay. 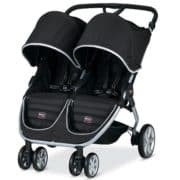 Just make sure the stroller you find fits through most doorways, folds up easily, can fit in the trunk of your car, strolls nice and easy, and makes your life a little more stress-free!